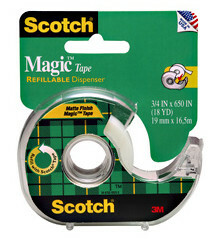 This one is more of a sticky deal than a crunchy deal . . . .
Go here to grab a coupon for $1.00 off one roll of Scotch Magic Tape!